DevianArt.com is a popular community of graphic artists and developers. If you are fan of DevianArt website looks, then give similar look to your Firefox browser. 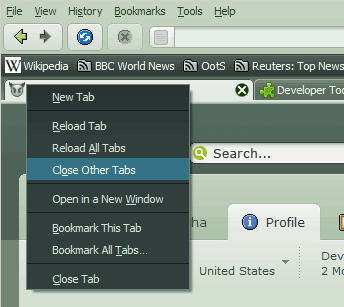 Devious Green theme gives Firefox browser makeover with looks and style as seen on DevianArt website. It has lot of green color splash around with pixelated icons. Toolbar icons are in the DA .gif emoticon styles and jagged edges on purpose. It has dark look with subtle treatment and it does not hurt eyes. If menus look too dark, you can even import lighter menu look by adding following line at the beginning of your userChrome.css file. 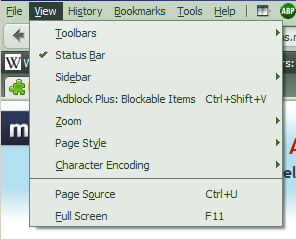 After addition restart the Firefox browser and enjoy DevianArt look with lighter menus. Grab the Devious Green theme and test drive this all green style makeover, looks fab!